Review of an application received by The City of Calgary to change land use within the southeast portion of the Chinook Centre site. This engagement is complete and the application was approved by City Council on September 11, 2017, click the Chinook Centre Land Use Amendment tile below for more information. 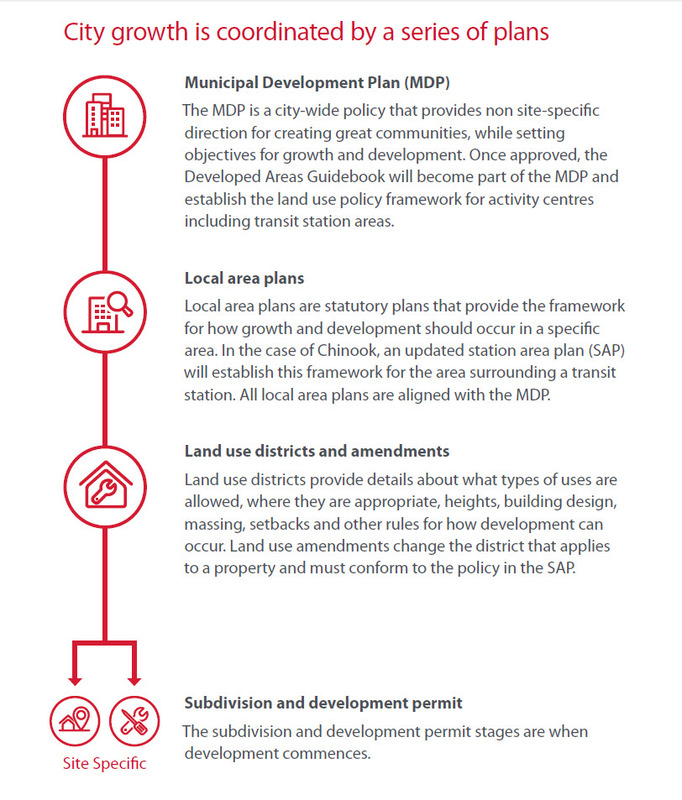 Creating a Station Area Redevelopment Plan (SARP) for the Chinook Station Area. Administration will be providing an update for information to Calgary Planning Commission on February 21, 2019 and will be returning to the Standing Policy Committee on Planning and Urban Development on March 6, 2019 with a recommendation of approval of the Plan.